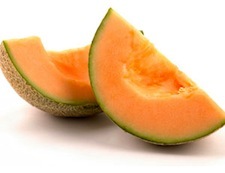 Musings of a Malcontent: Listeria in my Cantaloupe? Musings of a Malcontent: Listeria in My Cantaloupe – could I get a side of Botulism with that? The great thing with writing this column is that on a regular basis the world keeps proving my point. This is a kind thing for the world to do – thank you world. It would be nice if the world would support my hopes for peace and general kindness towards each other – sadly that is not what keeps getting supported. Instead it keeps proving all the things that are off-kilter. All the ways we are interconnected yet seem to ignore it. All the ways we do whatever we want without looking around to see what we do affects the environment around us. All the ways we accept the system currently in place, rather than being curious. Rather than questioning the reasoning of doing something a particular way – ya’ know – basically being a nuisance. Cantaloupes are proving my point this week – almost too well. Death has a way of being very persuasive. I must say Listeria sounds more like an anti-depressant than a deadly virus. Sneaky virus. I half expect it to be in little packets next to the Splenda and Sweet & Low. Could I have a non-fat vanilla latte with two packets of Listeria? Yum. Actually it is named after Joseph Lister, who was a pioneer in developing antiseptic surgery techniques. It would seem to me you might want to pick a different person to name the bacteria after – since he was advocating against bacteria you could say. You might want to pick a name that immediately gets the point across. I am open to suggestions. Willkillia? This week has been full of articles about the outbreak, especially as the death toll has risen. In one article from the Associated Press a main issue seems to be around the journey our food takes. In the US, food goes through multiple steps before it even gets to the supermarket, let alone your table. Often each step brings the item farther and father away from its point of origin. For food coming in from other countries, the path is even more circuitous. The result is a system that is harder to track and understand where infection comes in. The chain of distribution is so complex for this particular fruit in question – i.e. the Cantaloupe – that the farm where the infection started has no idea of all the places their fruit goes. It is sold and resold so many times that it ends up in places unintended. Although the CDC managed to track most of the tainted product back to them, there are still some significant gaps in getting a full picture. Talk about making a case for buying locally. Who knows what sordid places my treasured cantaloupe has been. Standing at some truck stop trying to hitch a ride. Revealing just a little bit of that rough tanned leg to get the attention of a passer-by. Rolling around in some unknown field, throwing caution to the wind. Letting itself be tainted, sullied by that dark and chisel faced Listeria. I bet all the fruit erotica fans just love this. Wait until I start talking about the lascivious rhubarb. To me the article was a great reminder of just how little we truly understand this system. Since it “works” for the most part, then all is good. Sure there are people who question and pay attention, but the majority go about daily life without missing a beat. I mean I was at a restaurant two days ago that served cantaloupe with my breakfast. Hello! California is one of the states to get tainted cantaloupe! Maybe a good idea to have another fruit pinch hit for the cantaloupe in the fruit garnish for a few weeks. I’m sorry, I’m trying to cut down on my death by food borne pathogens. It does not take a Joseph Lister to figure that one out. Common sense. Awareness. Connecting in. Take the Listeria challenge. Know where your food comes from – or at least try. Go to more farmers markets – heck grow it yourself if you want. The point is to keep the guard up just a little bit. Why? Well last week (see article) the FDA found Listeria in bagged Romaine lettuce from Watsonville California. You know, the same FDA that is understaffed and under funded and only caught it because they just happened to be doing a study of leafy greens and the presence of Listeria. It was another near miss in a series of near misses. Who knows where that lettuce was bound for? It could be for your table just as likely as mine. I’m just saying – it might be good to take notice. Luckily for me I have a solution to all this. Twinkies. Great shelf life, completely synthetic and they are really good deep-fried. Problem solved. Heck, Elvis loved them and he’s still alive.